Should Your Classic Car Listing Include an Asking Price? Rule #1: A seller never wants to leave money on the table. Rule #2: A buyer never wants to pay more than what something is worth—preferably, much less. But this isn’t a game show. If a prospective buyer responds to your listing, they’re not going to start shouting out what they think your car is worth. At some point early on (perhaps as soon as the initial buyer inquiry form) they’re going to ask, “How much?” If you want to sell your car, you will need to name your number. So, why not put it right in the listing? In the world of buying and selling classic cars, there’s also this rule: Be transparent with your selling process. When advertising your vehicle, describe all its features, good and bad. And while features vary, the one that comes on every single car is price. It’s either a good feature or a bad one. If it’s not included in your listing, prospective buyers will come to the most likely conclusion that it must be bad (See Rule #2). And…what else about the car is the seller hiding? Think about it: whether your car is a flawless show queen or a rust-ridden heap, with just a few Internet searches, a prospective buyer already knows your car’s approximate market value. If there’s something about your vehicle that puts it well above market value, put it in the listing along with the price). The potential buyer will be the final judge as to whether it’s worth the extra money. Don’t count on it. A car listing with a price is much more likely to get views than one without. So, with no price, fewer people are looking at the ad. Those who do may question its integrity. Now, the opposite of the above could also inspire a seller to not include an asking price. “What if I’m pricing it too high? No one will call,” they tell themselves. Alternatively, “If I put in a price, someone will just undercut me and get the sale.” This line of thinking is understandable, but don’t forget that classic cars are one-offs—eacb one with its own distinct history and current condition. If you really think your car commands a premium price, be sure your listing explains why, as suggested in our Help Center article about creating an effective listing. There is no mystery to classic car pricing. All the information is available on the Internet with resources on ClassicCars.com and elsewhere. Just a little bit of research will show you where the market currently values a car like yours. 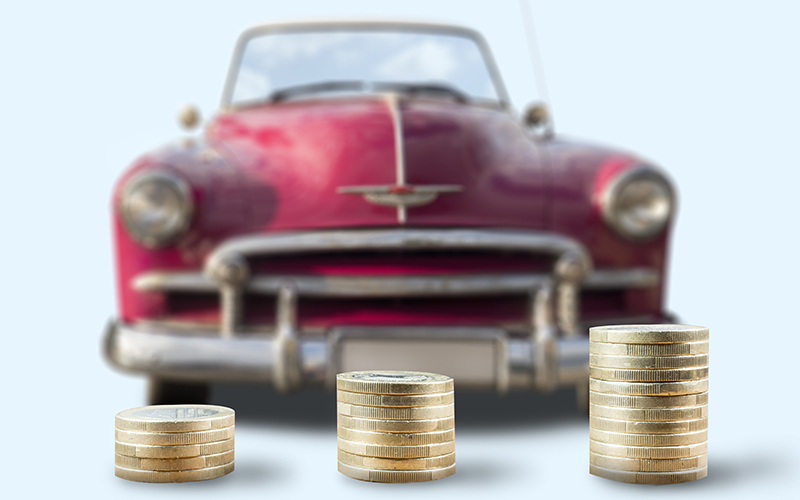 If you are truly objective, you won’t overshoot the price when you list your car. However, if you want to be certain, hire an expert and get an appraisal. Keep in mind, if your phone isn’t ringing and the emails aren’t arriving, it may be more about your listing than your price. You may not be doing a good job explaining important features or history, or perhaps you need better photos to document your vehicle’s condition. Try rewriting the description. Take better and/or more photos. Worst case, lower your price. Yes, when you publish a price, someone could undercut it. But in the classic car world, serious buyers are looking for the best car for the price (once again, see Rule #2). Most buyers assume every asking price is negotiable. If there are several comparable cars within their range, they will likely contact each owner. They will want to learn more about the car, negotiate, and then buy the car that best matches their needs. You will get your shot. But, if there isn’t a price in your listing…you might not make their call list. You don’t get the chance to negotiate. Long story short: to sell a vehicle, always include a reasonable asking price in your listing and back it up in your description.